Are you ready to become a soccer superstar? Battle your way through 3 different leagues in this fun penalty sports game and try to win the trophies in the finals! You play as the goalkeeper and have to use all your skills to defend your goal. Don't let any ball pass and watch out for the power ups, they can either help you or make your life really hard! 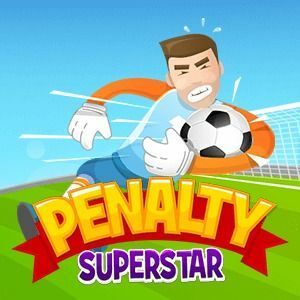 Penalty Superstar - Find Penalty Superstar in our vast HTML5 games catalogue. Only the best and newest HTML5 games for all audiences. Guaranteed success with Famobi.